A podcast is one of the most unique and effective forms of content marketing that exists today. 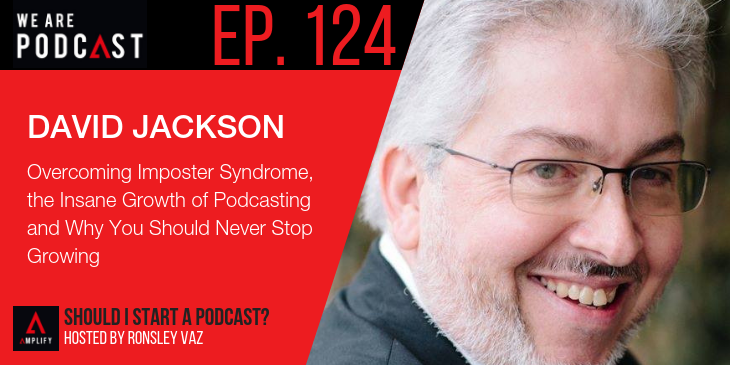 This week’s episode features Dave Jackson, a veteran podcaster who has run his School of Podcasting since 2005 when podcasting was still a buzzword nobody understood. This lead to other podcasting related sites and services including Podcast Mechanic (consulting), Podcast Clicks (promotion), Learn to Subscribe (free tutorial for listeners), Podcasting Shirts (clothing), Planning Your Podcast (free tutorials). and Cooler Websites (design and blog hosting). We had a great chat in between sessions at We Are Podcast 2018 and talked about everything from imposter syndrome to being an old guy in a young bloke’s game.